Is Egypt Safe to Visit Now? The short answer is yes, as of July, 2012. The longer answer is below. When I first arrived in Cairo, I wasn’t sure what to expect. I don’t do a ton of travel research before heading out, but I provide myself the tools to figure it out when I get there. In this case, I had a scheduled pickup organized for when I landed. This way, I wouldn’t have to struggle with providing an address, an area, and I wouldn’t have to haggle the price. I stayed in Downtown Cairo, right on Talaat Harb Street. This is a main street in the downtown area (which hosted my hostel, Brother’s Hostel); there are many stores on this street, and very close by is the famous koshari restaurant, Abu Tarek. Additionally, this street is not far from the famous Tahrir Square. Since I arrived at night, I explored minimally and got some great rest on the first night. 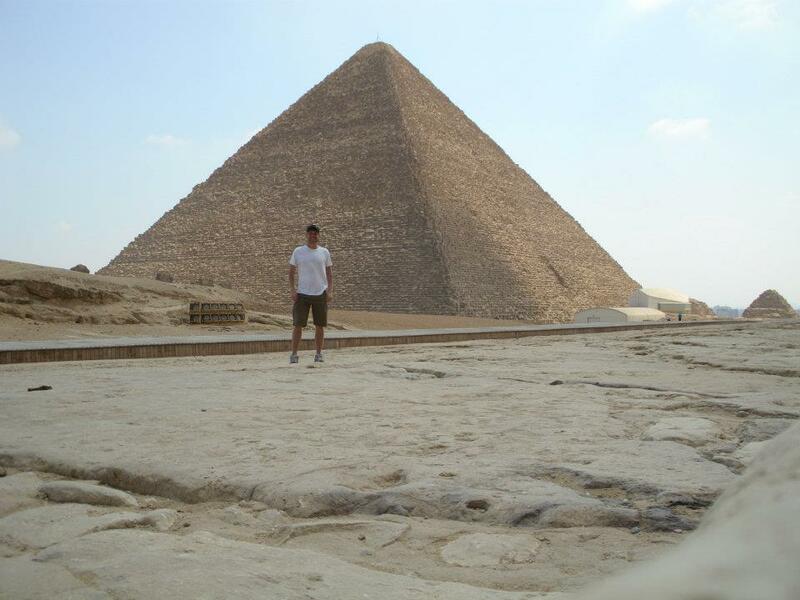 The next day, I took off for the pyramids. I did not sense much danger anywhere on the grounds of the pyramids; however, you have to be prepared for relentless pestering for camel rides or guided tours. Relentless = one guy asked me 7 times and followed me on his camel as I continued walking before finally giving up. People tried to trick me into thinking that they were professional guides or worked for the pyramids; they never had any ID – one guy showed me his driver’s license. Importantly, in many ways, I am the quintessential tourist-target, standing at 6 ft tall, with fair skin, blonde hair and blue eyes. Other people may not experience it as heavily as me – I can’t speak from alternative experience, I look what I look like. After returning from the pyramids, I walked on Talaat Harb Street, up and down a bit, staying within the brightest lights. There wasn’t any aggression on the streets. I ate dinner at a place called Gad, which I later found out is a chain. The next day, I met an Aussie and we walked together to the Egyptian Museum from the hostel. The Egyptian Museum is actually right near Tahrir Square. The square was empty of people/protests and other things that would cause fear in any wise tourist who isn’t getting paid to take photos or document that type of experience. 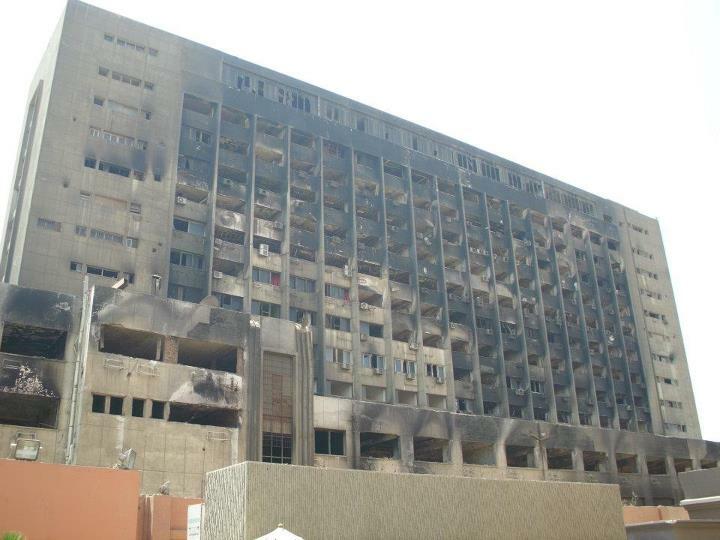 There is a large building overlooking the museum, which was burned in January, 2011. It’s empty, and it serves as a reminder of the troubled times of the past. We walked onward to the Nile and were continually pestered for felucca rides or other wares. It was as if our “no” had only a slight temporal effect. We returned to the hostel with no problem. 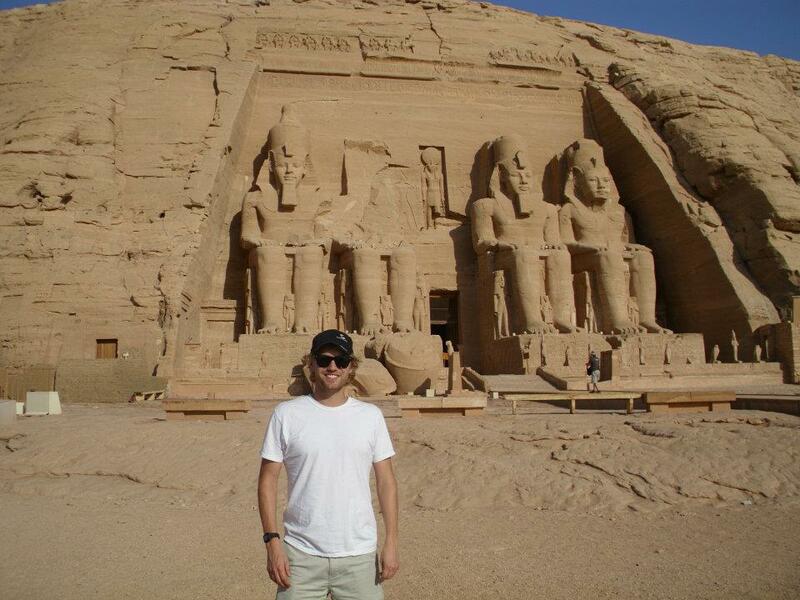 I also traveled down to Aswan, visited the High Dam and Abu Simbel – again, not finding any problems. The way the tour was organized, they set up numerous tourist buses to depart in a caravan, so during the trip to Abu Simbel, we were never far from other individuals. My final touristic visits were to Old Cairo and the cathedral. Again, I experienced no problems. There were large tour buses filled with Russians at each site that I visited. Nothing out of the ordinary – the pestering remained the same everywhere I went. I can say that not speaking Arabic can lend itself to inducing fear in a certain situations because you don’t know what people are talking about around you. However, just because you don’t understand what people are saying, doesn’t mean they are saying something bad. Avoid fear, but keep your wits about you, and you will be fine. I would recommend Egypt as a destination to any seasoned travelers who have good instincts, but I wouldn’t recommend Egypt as a place to learn them.